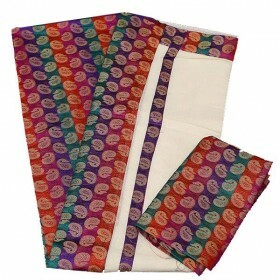 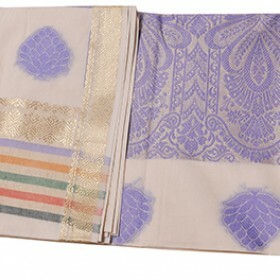 All are wish to wear Kerala traditional saree to be special in their best days, we introduce most mesmerizing folk print traditional saree with a new look. 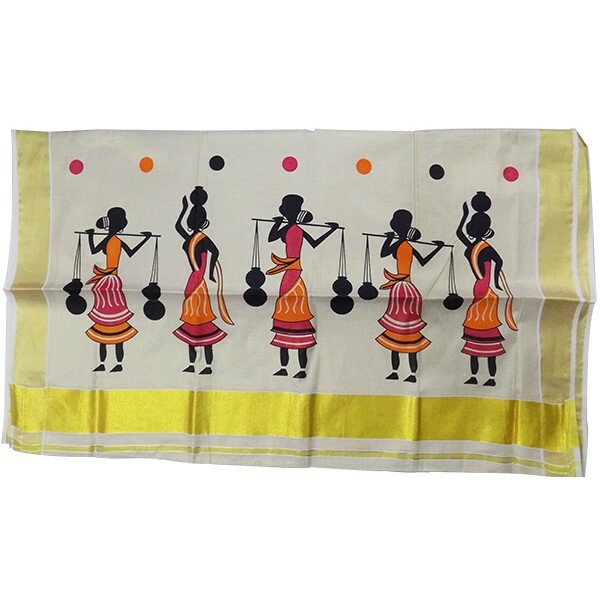 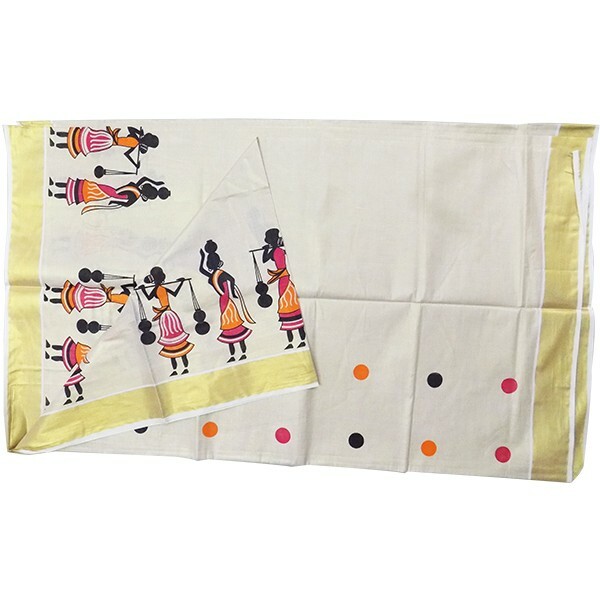 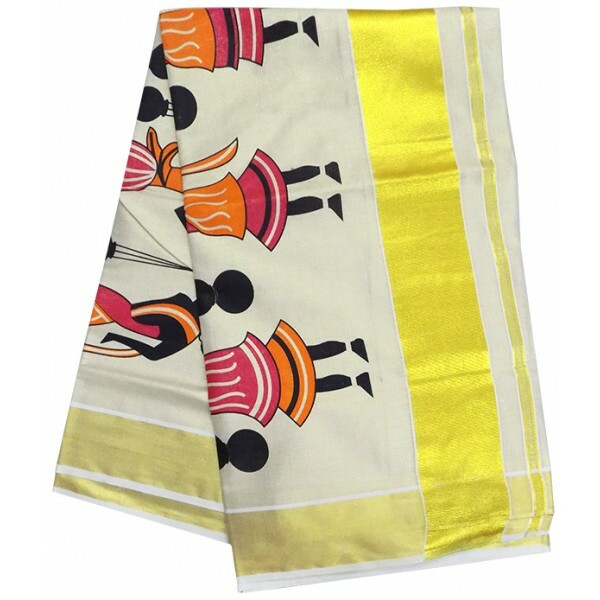 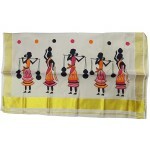 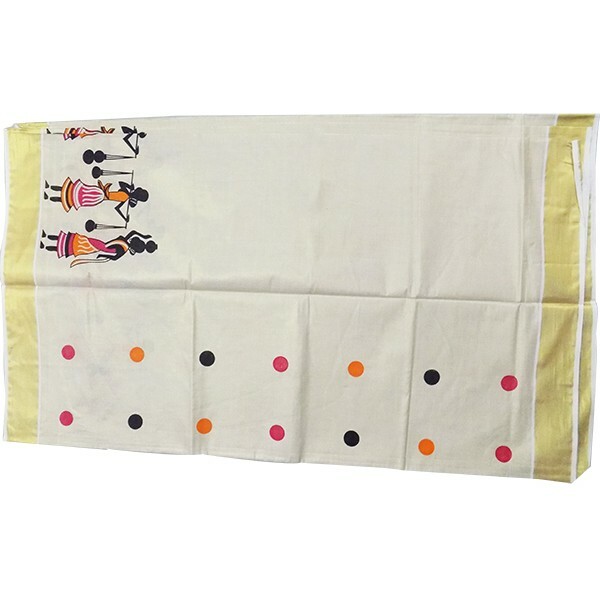 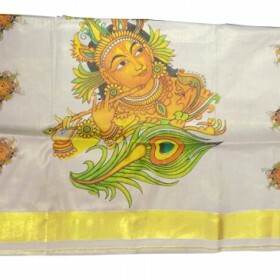 This is pure tissue cotton fabric having golden color people vector design folk print with black and orange color background on pallu which gives a simple look. 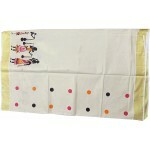 It has black and orange dots border along with kasavu makes gorgeous. 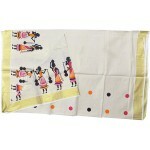 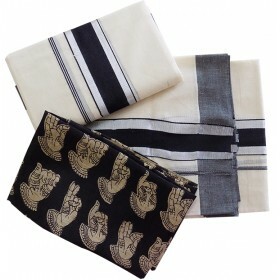 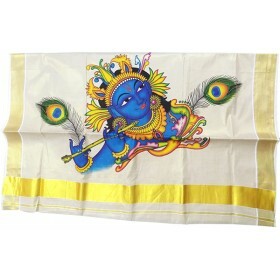 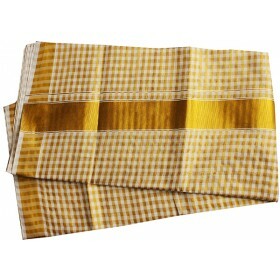 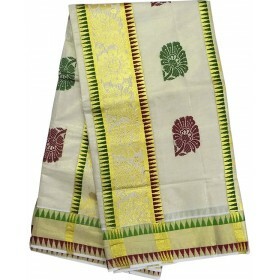 Once we wear on bottom fleet a single fleet has vector print design which gives modern touch.